A company that offers innovative Engineering Solutions in both specialist welding and precision machining services. Atlantic Engineering´s machining and welding expertise is used in a wide range of component manufacture and refurbishment, high pressure hydraulic accumulators, to ship's propeller shafts and rudder stocks. Atlantic Engineering is a complete engineering company, equipped to carry out all aspects of work from the commencement of contract, through testing and final inspection. 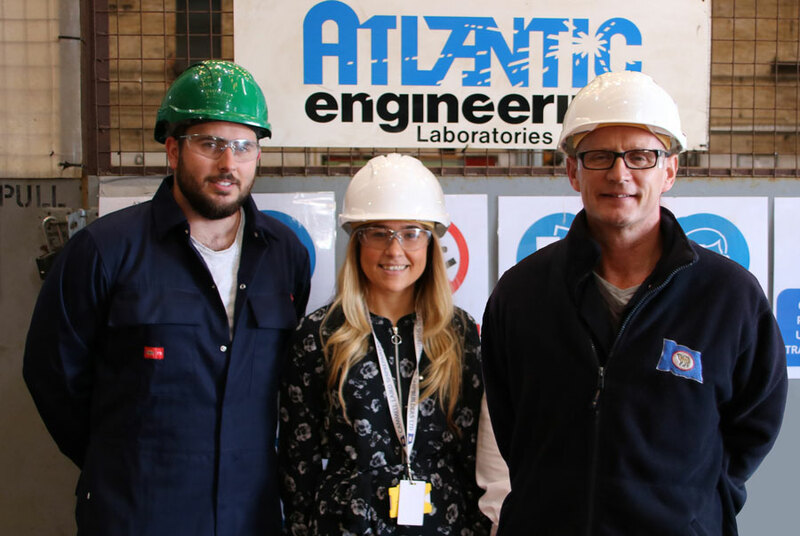 Through co-operative research and development, Atlantic Engineering works alongside customers to explore solutions to improve both manufacturing and plant operational problems. Fuelab is a portable on board test kit developed to assist ship’s engineering measuring Quality of fuel they were bunkering as well as being able to optimise the use of fuel at sea and assist in operational difficulties. A Test Kit is available for 8 & 13 tests. ( Density, Viscosity, water content and acid test etc..) However each kit can be tailored for each ship’s needs.